The Clarksville-Montgomery County School System has a focused effort on improving student achievement for the 33,050 pre-kindergarten through twelfth grade students it serves. CMCSS continues to be recognized nationally for its academic and professional achievements, as well as its progressive methods for helping students become college and career ready. Last year, the system was number one in the state for academic growth. CMCSS continues to develop and strengthen a variety of programs for ensuring student success. After-school programs, innovative approaches in programs like a virtual high school and credit recovery, as well as other intervention and transition programs for children in elementary, middle and high school provide students with greater learning advantages and opportunities to stay on track with their peers. With the increased rigor in academic areas, students on all learning levels can benefit. Thinking outside of the box, the school system started college and career academies in each of the high schools, a Middle College High School on the campus of Austin Peay State University, and a four-year academy for Science, Technology, Engineering, Mathematics (STEM) housed within Kenwood High School. CMCSS was named a “District of Distinction” last year by District Administrator magazine. Two high schools are listed in U.S. News and World Report among the best high schools in the country. The seventh largest school district in Tennessee, CMCSS opened its thirty-ninth school, Oakland Elementary, in August 2015. Approximately 28% of the students served in the school system are military dependents – nearly twice as many as are served by the Fort Campbell Schools. Also, CMCSS earned a 100% score as part of the “Safe Act” state requirements. CMCSS is one of a distinguished group of school districts earning whole district accreditation from the AdvancEd International Accreditation, which includes Southern Association of Colleges and Schools. The School System has earned ISO-9001:2008 Certification which is an international standard for quality management recognized by professional organizations and industries worldwide. 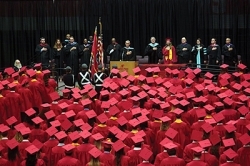 The student graduation rate has risen steadily over the last seven years and was 96.5 percent in 2015, among the highest in the state and the nation. Clarksville-Montgomery County School System Serves More Than 32,500+ Students & is Ranked #1 For Academic Growth Among the State’s Largest School Districts. Private schools in the Clarksville-Montgomery County area offer a choice for parents seeking an alternative to the traditional school system. Each has distinctive characteristics that meet the different needs of individual students. Clarksville Academy strives to assist students in achieving their potential, identifying their strengths and interests, while ensuring success in college and beyond. A non-discriminatory school focusing its emphasis on academic excellence, appropriate discipline, ethical standards, continuous learning, as well as respecting others and their property. Their philosophy on education encompasses the intellectual, social, emotional, characteristics, and physical development of students. Immaculate Conception School (ICS) in Clarksville, TN, is a diocesan parochial school, approved by the Bishop of Nashville operating under the supervision of the Superintendent of Catholic Schools for the Diocese of Nashville. ICS is accredited by the State of Tennessee and the Southern Association of Colleges and Schools (SACS). ICS serves children from Kindergarten through 8th grade, and their mission is to develop the spiritual, intellectual, physical, and social growth of each child by providing a quality educational experience in an atmosphere of faith. Tabernacle Christian School opened in 1999 under the vision and leadership of Pastor Jimmy Terry, Sr. to provide a safe and nurturing environment that enables a child to obtain academic excellence, spiritual, emotional, and physical development through the teachings of Christian principles and values. TSC provides students with a biblical perspective curriculum that prepares and inspires them for success in life. The educational program equips students with the skills and ability necessary to sustain and guard a Christian world view. Clarksville Christian School opened its doors in August 2007 in the youth education wing of the Hilldale Church of Christ. In just three years, CCS moved into a new stand-alone facility. CCS aims to foster and maintain an educational Christian environment where God is glorified in every respect academically, socially, and morally according to the teachings of the Bible. The school continues to improve the academic and extracurricular experiences of students while continuing to emphasize Biblical principles. Power and Grace Academy opened in 2016 for students Pre-K 4 through 1st grade with the intention of expanding to higher grades in the years to come. Their goal is for each student to grow intellectually and maximize the attributes of power and grace through the intentional, high expectation of educational instruction, leadership development, and Christian doctrine. Students are prepared for all of life’s successes with a biblical perspective curriculum. 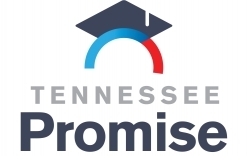 Tennessee Promise is Both a scholarship and mentoring program to increase the number of students that attend college in our state. The scholarship covers tuition and fees not covered by the Pell grant, the HOPE scholarship, or state student assistance funds. Students may use the scholarship at any of the state’s 13 community colleges, 27 colleges of applied technology, or other eligible institutions offering an associate’s degree program. Austin Peay State Uni versity Is A Comprehensive University Committed To Raising The Educational Attainment Of The Citizenry, Developing Programs And Services That Address Regional Needs And Providing Collaborative Opportunities That Connect University Expertise With Private And Public Resources. Apsu Prepares Students To Be Engaged And Productive Citizens, While Recognizing That Society And The Marketplace Require Global Awareness And Continuous Learning. Named for Clarksvillian and former Tennessee Gov. Austin Peay, APSU is one of the region’s key economic engines, with an economic impact of more than $333 million annually. Austin Peay’s beautiful Clarksville campus is located on over 180 acres in downtown Clarksville. Established in 1927, today’s student enrollment is 10,099. Students at Austin Peay can choose from numerous programs and concentrations to earn an associate, bachelor’s, master’s or Education Specialist degree. With more than 20 graduate degrees, over 45 undergraduate degrees and several associate degrees, many of which are offered in eight-week terms or traditional 15-week semesters. With classes offered on three campuses (downtown Clarkville, Fort Campbell, and Springfield) and online, traditional and non-traditional students have the opportunity to achieve both graduate and undergraduate degrees in a way that fits their busy lifestyle. 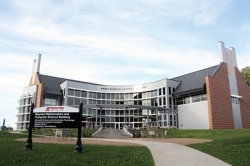 In November 2014, APSU opened the new $6.7 million Maynard Mathematics and Computer Science Building on Eighth Street. Additionally, the University reopened Governors Stadium in September 2014 after a $19 million renovation. 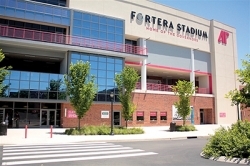 In April 2016, APSU announced a 25-year partnership with Fortera Credit Union to rename the home of APSU football to Fortera Stadium. Currently, construction is underway on a new $21.3 million, 46,000-square-foot Art and Design Building. The new building will feature faculty office space, general purpose classrooms, a multifunction room, art studios, a photographic studio, a general art gallery and a student gallery. Construction is expected to take a year and the new building is slated to open in the spring of 2017.
of the largest expansions in the University’s history, and it now connects the 182-acre College Street campus with downtown Clarksville. Currently, APSU is in the process of developing 28 new degree programs, including its first doctoral programs. APSU boasts two Centers of Excellence - the Center of Excellence for the Creative Arts and the Center of Excellence for Field Biology. Combining the institution’s well-established disciplines of music, creative writing, art and theater, the Center of Excellence in Creative Arts is designed to promote the creative arts in Tennessee. A regional oasis for the arts, the center sponsors more than 100 concerts, exhibits, lectures, recitals and events annually. The Center of Excellence for Field Biology is a major research component of the University, highly regarded by scientists from coast to coast. Much of the research is conducted in the natural laboratory of nearby Land Between The Lakes, a 300-square-mile forested preserve between Kentucky Lake and Lake Barkley.